October is my birthday month, and since I am not getting any younger, I have decided to make it different this time. Instead of staying up all night to party, I have decide to wake up early.. and RUN. This is my way of promoting the importance of exercise to maintain good health! 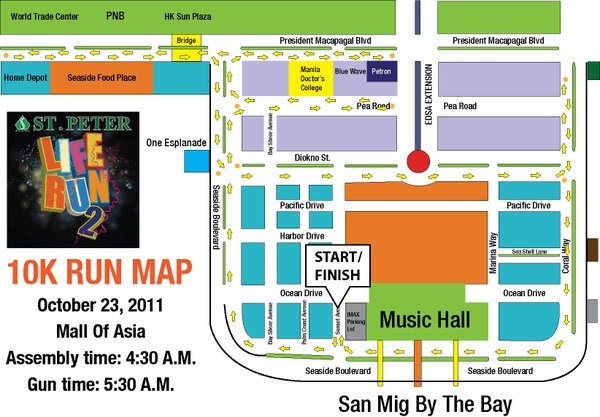 ** Runners are encouraged to be in costume across all categories. All Terra Robinsons Branch—3rd Level, Sports Loop, Robinsons Galleria, Quezon City; (02) 871-8529. All Terra Ortigas Home Depot—Units 1 and 2, Ortigas Home Depot [Next to Second Wind] Julia Vargas, Ortigas Home Depot, Pasig City; (02) 570-6618. Race Kit: No return and exchange of race kits after claiming from registration areas. Please present the acknowledgement receipt upon claiming the kit. IMPORTANT: Transferring or exchanging race bib numbers is not allowed. Winning participants found to have violated this rule shall be disqualified and he/she must surrender any prize winnings to the race organizer. Birthdays doesn’t only mean we get older again, get weaker.. it also means we get another year to celebrate life, with family and friends…and it’s up to us how we make the most of it! As for me, I want to be fit and healthy, while enjoying my one special day! 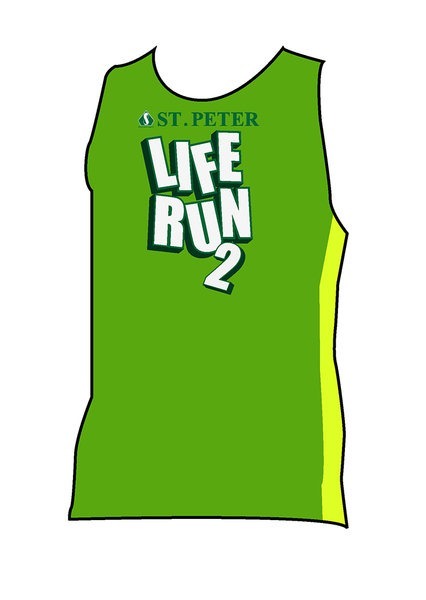 So I am running at St. Peter Life Run! advance happy birthday..i want to run an win for this its simply because i want to run to be physically fit,good health.. and to serve as my training for the up coming event next month..RU3..
so nice naman tatakbo ka again!!! magandang exercise talaga ang pagtakbo. kakadiscover ko lang din nyan at tatlong buwan matapos kong simulan ang pagsali sali sa mga fun run, nakita ko naman ang epekto sa sarili ko – pantalon ang sukatan ko, hindi timbangan!!! at i have decided to run din dito – kasi praktikal. maaaring mas prestigious ang kotr na kasabay ng run na ito, pero iyon naman ay isang takbo na puno ng komersiyalismo dahil sa sobrang mahal ng registration fee. ni hindi ka man lang sigurado saan mapupunta ang ibinayad mo – malamang sa pagpapalawig pa ng brand ng adidas. kaplastikan kung di ko aaminin na gusto ko rin sa kotr, ngunit, subalit, datapwat, ninanais kong magpakapraktikal. thanks for the opportunity to have a chance to run with you! Happy Birthday and God Bless! Keep it up! Thank you! 🙂 hope to see you too! I am happily attracting this free race kit as October is my birthday month as well.. 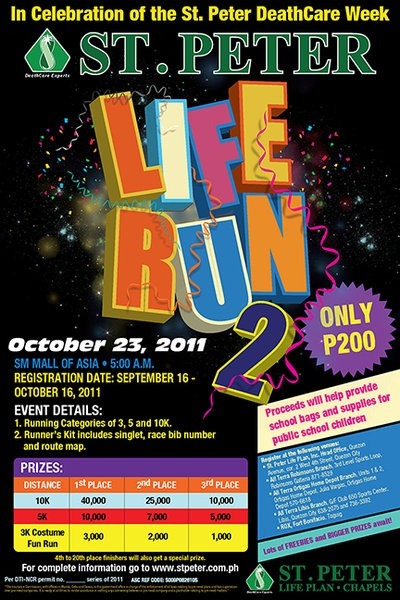 I want to join this month’s races as I was not able to join races last August & September. See you on the runs!